Cherries have made its way here and the supermarkets and fruit shops are well stocked up. These juicy bites go down well with family especially my girl. 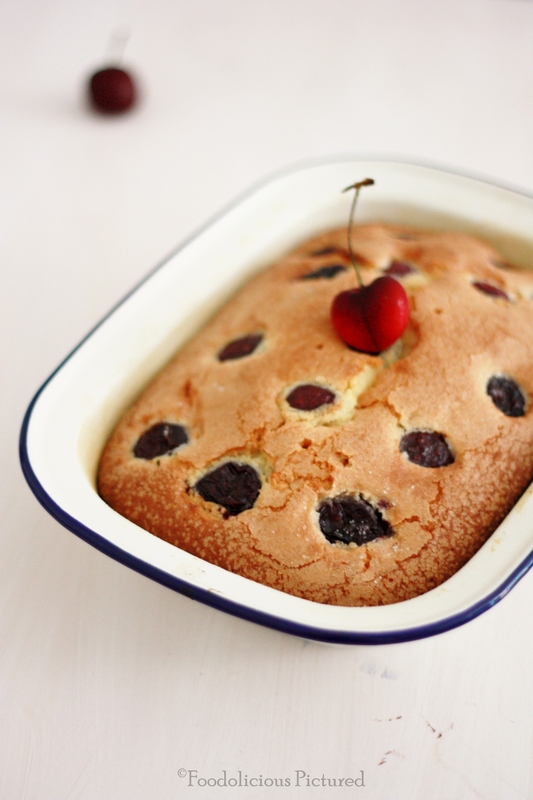 Last year I made a chocolate – cherry cake and we all loved it. Pre-heat the oven to 180 C. Grease a 9 inch cake tin or a pie dish like I have. In bowl sift together the flour, baking powder, salt and set aside. In a mixing bowl; cream the butter and sugar on a high speed till pale and creamy. Add the eggs one at a time; beating well after each addition. Add the vanilla essence and continue to beat. Gradually add the flour mixture. Gently mix till everything is well combined. Please make sure not to over beat/mix the mixture. Add the 1/2 of the cherries and gently fold in. 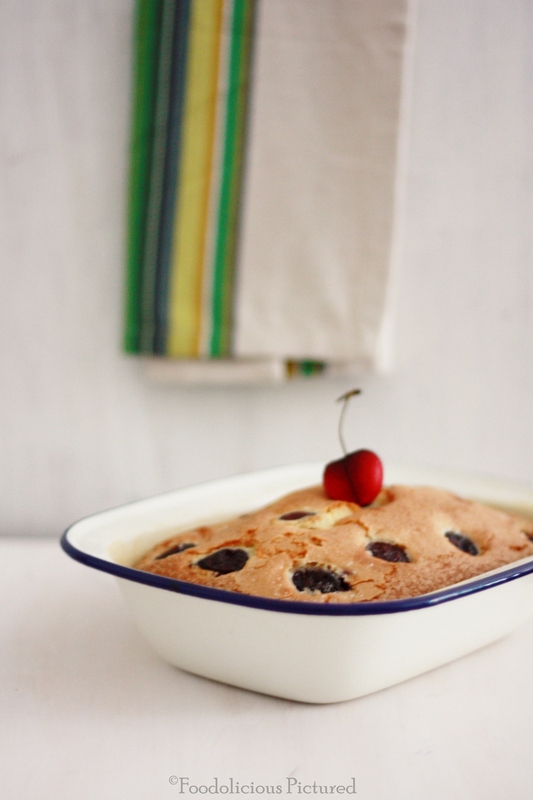 Pour the batter into the prepared tin and arrange the remaining cherries on top. Bake the cake for 40-45 minutes or till the toothpick comes out clean when inserted. Cool the cake for 10 minutes in the pan and then on a wire rack. 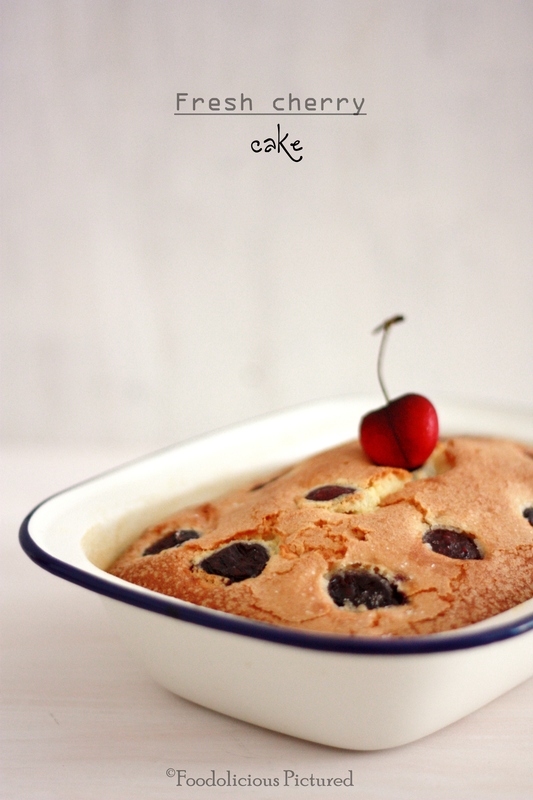 Delicious Cheery cake, Love it. 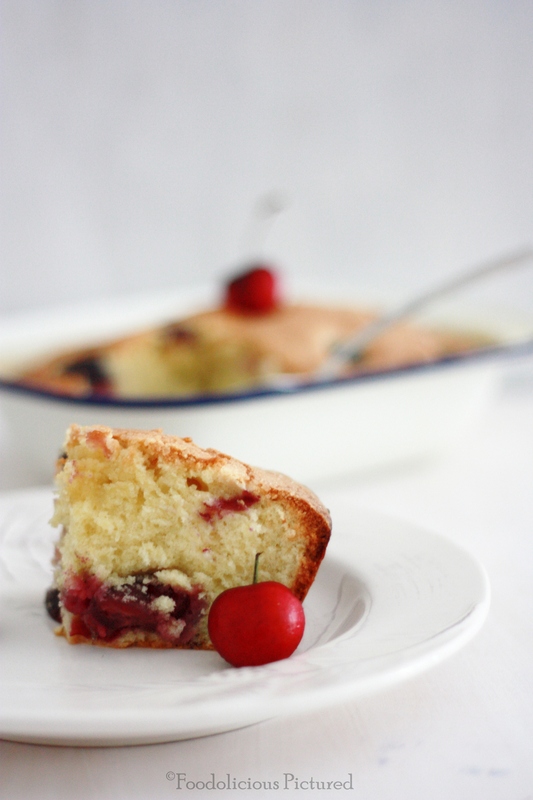 Ooo Cherry cake looks awesome.New cake pan right ! Yes meena it is new 🙂 thank you! i love cherries. it looks great! Very soon I shall be bothering you on FB msgs with questions about Food Photos et al.. 😉 Lovely lovely picture this is.. !! This was superb and so simple yet incredibly delicious. 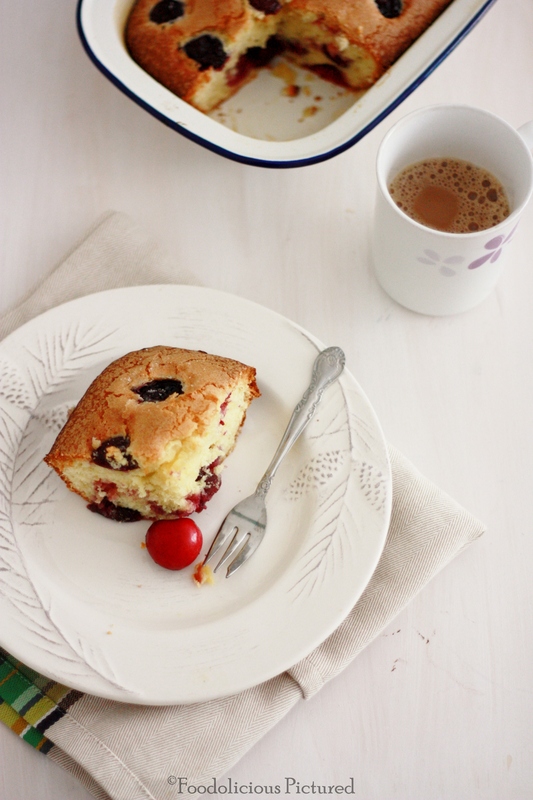 I substituted 1 cup whole wheat flour for regular flour and used turbinado sugar, along with whole frozen cherries. I will make this again and again. I might have to create a wine-cherry drizzle sauce to go over it.